G McMahon Building & Roofing Services has over three decades of experience in the Wirral area as a roof and building contractor. The wealth of knowledge gained during this time allows us to provide complete building and roofing solutions for both commercial and residential properties. We pride ourselves on being able to offer comprehensive roofing services from flat roofs to pitched roofs identifying and working with the best materials for our customers. From handcrafting lead flashings, to sourcing and cutting slate or tiles to match your roof, fitting dry ridge system or even an entire new rubber roof system. 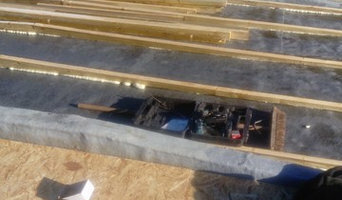 G McMahon Building & Roofing Services can provide the best service for you. We provide a professional service, quality workmanship, customer care and value for money that everybody. Our trusted workforce has the flexibility and experience to undertake a diverse range of projects from minor repairs and maintenance to major refurbishments and renovations. 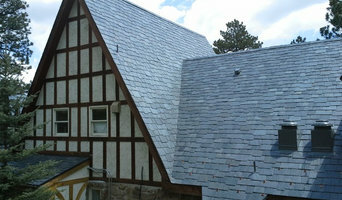 Galex is a specialist Spanish roofing slate and clay tile supplier. 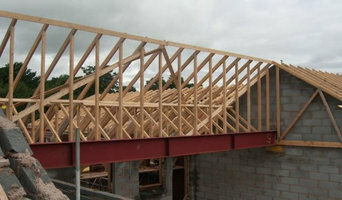 We design, manufacture, supply and fix timber roof trusses to any size of specification. With over 20,000 completed projects and counting, you can be confident your project is in good hands. If you are looking for roof trusses no matter the project size, we are here to help and we wont keep you waiting. Our designers have a over 100 years combined experience in the design of roof trusses, engineered floor and timber frame. We design and manufacture our roof trusses on our site based in Cheshire with quick links to the M56 and M6 for nationwide delivery. We can design any roof truss structure no matter how complex and can provide practical solutions for any structure. We provide quality roof trusses for commercial or domestic projects, providing a dedicated team to work individually on your structure, you can be confident that it fits and functions perfectly. Our in-house team collectively boast over 100 years of work in timber materials so you can be sure that our trusses are of the highest quality. Please contact us to discuss your project. Furber Roofing has a long standing history on the Wirral and throughout Merseyside and the North West it was first established by Frank Furber in 1957 having gained his experience with the Manchester Slate & Tile Company. Furber Roofing first traded from a small lock up in Brighton Street, Wallasey but soon realised larger premises where needed and moved to an old dairy building in Trafalgar Road, Wallasey where the company prospered for many years. Frank Furber successfully ran the company until his retirement in 1992 with over 35 years providing the Wirral and North West with a truly professional quality service using only the finest tradesmen and quality materials. Specialising in Slating, Tiling, Flat Roofing and all Roof Repairs they quickly became one of the most recognised roofing companies in the area. To Present Day; David Furber left school in 1967 to start work at Furber Roofing and progressed through the company from trainee to qualified roofer working his way up to surveyor and project manager and becoming Managing Director in 1992. In 1993 the current offices and yard in Alfred Road, Wallasey was purchased. Situated in the Wallasey Dock area giving direct access to the M53 and all areas throughout Wirral and the North West. David has been joined by his three sons over recent years who all take an active role in the running of the company; Joe Furber joined the company on leaving school in 1993 and has worked his way up from trainee to qualified roofer and has now been Surveyor/Estimator since 2003. Craig Furber joined the company on leaving school in 2001 and has also worked his way up from trainee to qualified roofer and is currently involved as a Tradesman with joint roles as Project Manager/Estimator. Karl Furber joined the company in 2002 and has also worked his way up from trainee to qualified roofer and is also currently involved as a Tradesman with joint roles as Project Manager/Estimator. We are a local company in Liverpool offering over 30 years' industry experience in domestic and commercial roofing. Roofers in Liverpool Numerous work projects have been carried out on churches and schools in the community. We are locally renowned for our high quality and comprehensive roofing services. We specialise in all aspects of roofing, including: slating, tiling, flat roofing, gutters, fascias, soffits, chimney stacks, flue liners, sky-lights, lead work, repairs and maintenance. We offer other professional services such as: external painting and full re-pointing. 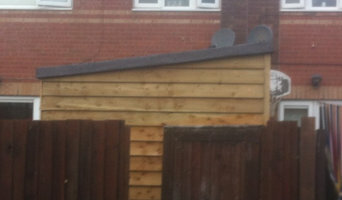 All works carried out are fully insured. FREE ESTIMATES We offer free estimates and can come out on location to inspect and provide an accurate estimate of work. NEW ROOF GUARANTEE All our new roofs come with a 10 year insurance-backed guarantee. ANNUAL ROOF MAINTENANCE We have set up an annual roof maintenance programme where we check over your roof for any repairs needed and clean gutters and downpipes. ROOF SURVEYS Personally inspected with full written report. Please call 07931 338875 for a free estimate! Chris Farrell Roofing Ltd is fully insured for both Public and Employers Liabilities. We are registered members of "Fair Trades" and "Confederation of Roofing Contractors". Experienced roofing contractors in Cheshire At Stuart Shaw & Co, we pride ourselves on making sure that our customers are provided with the highest quality and great service. We provide free roofing quotations and will give expert advice or recommendations on any questions or queries you may have. All work is undertaken by qualified tradesmen who pride themselves on the quality and range of their work. Welcome to TJ Hopkins your local experts in roofline Warrington, conservatories Warrington, windows Warrington, doors Warrington and property maintenance Warrington services. 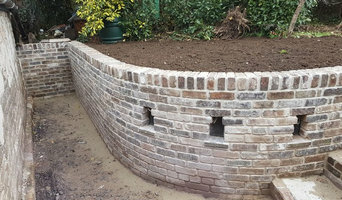 With over thirty years of experience as joiners, we have gained immense understanding and expertise in delivering first class quality, excellent service and professional workmanship. Bespoke Solutions At TJ Hopkins, every solution we offer is unique, just as you are. Although we have a set of standard roofline Warrington, conservatories Warrington, windows Warrington, doors Warrington and property maintenance Warrington services, we are happy to deliver custom solutions to suit your requirements and preferences. Before the commencement of any project, we discuss your needs in detail to make sure we meet your expectations. Accordingly, we design a bespoke package for you that will suit you perfectly. High Quality Workmanship Our roofline Warrington, conservatories Warrington, windows Warrington, doors Warrington and property maintenance Warrington professionals are some of the best in the industry. With excellent care and precision, we only deliver the best for your project. JJ Nuttall is a specialist flat roofing company that has quickly built up an enviable reputation as one of the most expert roofers in the Liverpool area. We pride ourselves on our commitment to provide a professional, reliable and speedy service at all times, taking into account the customer’s busy schedule and their unique, personal demands. We are based in Liverpool and are able to offer our services in the areas of Merseyside and anywhere within a 30 miles radius. Gutter cleaning, unblocking and repairing Whether your gutter needs basic cleaning or a more thorough repair, you can always count on us to carry out guttering works to the very highest standard of workmanship. A M Guttering install only the finest products in the roofline industry. Freefoam's rainwater range, Freeflow, is designed to the highest specifications and will remain leak free, so you won't have to worry about them again. From unblocking the gutters to replacing downpipes, no job is too big or too small for us. All repairs are guaranteed for 12 months and new installations for 5 years. Contact us if you need these services in the Greater Manchester area, you will be in safe hands. No more rotten and insect infested rooflines Are you planning to replace wooden rooflines with more modern uPVC fascias and soffits? At A M Guttering Services, we supply and install a variety of these rooflines in a variety of styles and colours. While wooden rooflines can be traditional, modern replacements offer a maintenance free, long lasting alternative. We use Freefoam products, which have a 20 year manufacturers guarantee, and for additional peace of mind, A M Guttering will guarantee our new installations for 10 years. We are able to inspect your home and offer advice about the type and design of the roofline that can be just right for you. Contact us for a free inspection and quote today. Do you need a roof installed or repaired? From replacing a broken tile to a more elaborate re-roofing, A M Guttering Services can carry out a wide range of roofing services. If you are not sure about the extent of repair your roof needs, or whether it needs total replacement, you can rely on us to give you impartial and honest advice. Are you looking for a reliable and affordable builder in the Merseyside area? Contact Heritage Roofing and Building Service for an extensive range of building services and extensions to help transform your property. Our extensive range of building services is available across The Wirral, Liverpool, Wallasey, Birkenhead, West Kirby and surrounding Merseyside areas. Welcome to WConnors Property, Building & Roofing Contractors! We are a family business that has been established since 1973 and can provide free and friendly advice and estimates. Don't move out, extend your property! W Connors Property, Building & Roofing Contractors are professionals in Domestic & Commercial building works, and specialize in all types of loft, barn and garage conversions as well as extensions and alterations. Ali Martini is a sole trader who brings in other trades people to work with him under his supervision as and when needed. The plasterers and roofers who work with Ali Martini Building Services are experts in their respective trades. The building services we have on offer can transform your home and fix any niggling problems. We're here to help make things better. There's no job too big or too small for us Talk to our expert builders about the best options for your home. Over 10 years experience Cover the Wirral area Free quotes Friendly & trustworthy Quick & efficient Punctual and reliable Internal and external work taken on Clean and tidies the site after work is completed If you need any home improvements performing, don't hesitate in contacting us directly on 07861 348 485. A home is more than a roof over your head, but you probably won’t feel that way when yours starts leaking. And if that clogged guttering isn’t dealt with, water ingress and structural damage could be just round the corner when our famous British weather kicks in. Don’t wait until you have an emergency on your hands – a beautiful new roof can really be the perfect finishing touch to your home and that smart new guttering won’t go unnoticed. And of course, with something this critical you wouldn’t want to trust anything less than an expert, so call in Liverpool, Merseyside roofers and gutter cleaning professionals for your re-roofing or guttering job. Why should I hire Liverpool, Merseyside roofers to handle my roofing and guttering? There are a wide variety of materials available and your Liverpool, Merseyside roofers can help you decide which option is best. You might look at clay, slate or concrete tiles and your choice will depend on cost, the style of your home and the local roofing style. In the North West of the UK you will see a lot more slate tiling, whilst in the South East there is an abundance of clay roofs. If you are in a conservation area you may find that your choices are more limited and you may need to look for reclaimed tiles; local Liverpool, Merseyside roofing contractors will be knowledgeable in this area, so ask for their advice, too. How do I find good Liverpool, Merseyside guttering specialists and roofers? Search for Liverpool, Merseyside roofers and gutter cleaning specialists in the Find a Pro section of Houzz. Read their profiles, try to match their core skills with the problem in hand – some specialise in flat roof repair using roofing felt, others only work with roof tiles – and then see what previous customers have to say about their quality of service. Ask for personal recommendations from friends and family. Ideally your shortlisted roofing and gutter specialists or experts are members of the National Federation of Roofing Contractors (NFRC), the Guild of Master Craftsmen or the Federation of Master Builders (FMB). Each trade organisation demands a high level of expertise and imposes a code of conduct on its members. TrustMark is a government-endorsed scheme that independently assesses tradespeople and allows you to lodge a complaint if necessary – look out for that. Call them round for a consultation and make sure you request a written quote. Cheapest is not necessarily the best; more importantly, who can you work with? Find Liverpool, Merseyside roofers and gutter cleaning professionals on Houzz. Narrow your search in the Professionals section of the website to Liverpool, Merseyside roofer or gutter specialist. You can also look through Liverpool, Merseyside photos by style to find a roofing project you like, then contact the specialists or roofing contractors who designed it.